Happy Sunday Stampers! Hope your Sunday is off to a beautiful start! We are in the middle of a heat advisory weekend in Arizona! We reached 118 degrees yesterday! It's HOT! I'm not a big fan of the heat. I burn easily in the sun, seriously! Just ten minutes in the sun and I start turning red! Luckily for me, we have a cool color combo at Sunday Stamps to cool me off. Thank you to ALL of you who joined us for the last challenge, WOW! Such inspiration from all 18 entries! So this week, the color challenge is to use orange, blue and yellow in our creations. Make sure you stop by our blog to check out all the creations by my fellow designers. For my card, I started off stamping the polka dot hexagon stamp from the Six Sided Sampler stamp set in Pumpkin Pie onto the Whisper White cardstock. I did use the coordinating hexagon punch to punch them out, but I wanted some additonal layers and dimension. So I trimmed them off a bit and layered them onto the Pacific Point hexagon punch. Once I had all of that glued I stamped one of the flowers from Flower Shop onto the design. I kept the rest of the card simple as I wanted to the colors and design to stand out. The sentiment is hard to read but it is from Banner Greetings and it read "Friends Forever". Hope this color combo inspires you to create something fun! Remember, our challenges are open for two weeks now. Hope you have a great week. Until next time. Hello Stampers! So happy that our internet is back on and operating correctly! Yay! Didn't realize how disconnected I was feeling by not having access to the internet. So today I have some new creations to share with you. I came across the beautiful color challenge from Nacho Average and I fell in love with it! I think I've shared that Melon Mambo is one of my favorite Stampin' Up! colors and my reintroduction to Bermuda Bay is going well. What an awesome blue. I has so much fun playing with this color combo that I made two cards with it. I know I'll be saving this combo for future cards. On both cards I used a technique called Faux Tearing (I think) and it is such a fun technique. On this card, I sponged the Melon Mambo and Bermuda Bay. I then stamped the new stamp set Regarding Dahlias onto it. I really love the way it came out. I kept it simple by not adding too many layers. The base of the card is Pool Party since the two colors are bright, which I love. I also sprayed the Vanilla Shimmer Smooch Spritz onto the sponged colors. So same technique on this card, but changed the base of the card to Melon Mambo. I layered Pool Party onto the Melon Mambo. The sentiment is from the Sweet Essentials. Thanks so much for stopping by. Until next time. Have a great Friday! Hello Stampers! I haven't forgotten about you...can you believe I'm still having internet and phone problems at home! Augh! I think I'll spend some time at our local library to work on stuff and while I'm there check out some good books! So I wanted to take a moment to share with you this video showcasing how to make this cute bag. It is featured on page 88 of the new Annual catalog, cute right! If you have a chance to make it, let me know what you think. Hello Stampers! Hope you are all doing well! 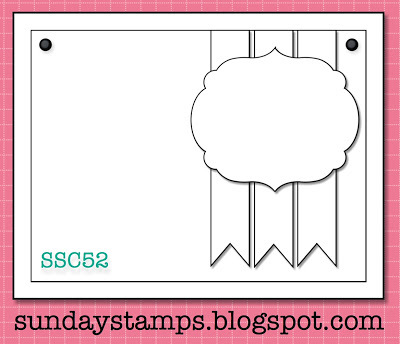 So sorry I'm late for our Sunday Stamps blog challenge, which started yesterday. Did you hear the news, our challenges are now open for two weeks and we have two new designers, Marie and Brenda! So more time to play along and more inspiration from our designers! So for the next two weeks, Holly has an awesome sketch for us! Love the banners! Hope you have a chance to play along. I used various sheets from the Epic Day This and That DSP. The base of my card is Basic Gray and I layered Pool Party onto it. I created the banners using the Crumb Cake washi tape. The flower is from a new stamp set called Flower Shop and it has a coordinating punch! You can purchase both as bundle and save 15%. I embossed it with our white embossing powder onto the Calypso Coral cardstock. I layered it onto Daffodil Delight and then onto the large scallop circle punch. The sentiment "Best Day Ever" is from the This and That Rotary Stamp. Lot of options with that one! Thanks so much for stooping by. I have some exciting personal news to share with you, just need to get it all set up in my blog post. I'm excited to share it with you. Until next time. Good morning Stampers! Welcome back to another fabulous Sunday! 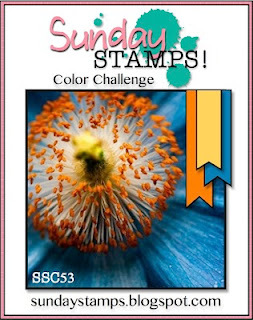 I'm hosting a color challenge at Sunday Stamps this week and I hope you can play along with us. I came across this cool technique called Traced Doodling from Splitcoast Stampers, and I wanted to try to try out. You can find the instructions here. It such a cool technique and I think it looks great with the Wildflower Meadow background stamp. Can you tell I love this stamp! I inked up the Wildflower Meadow stamp with our white craft ink pad, and once it is stamped onto Sahara Sand, it creates a nice subtle background. Sahara Sand is such a nice light color. I used our Watercolor Pencils to trace around the image (very slowly). Can't believe they are being retired as well! I haven't tried this technique with our markers yet, but I'm sure it will also work. I once again used our Banner Greetings hostess stamp set for my sentiment. Told 'ya I would be using this set a lot, lol. Hope you have a great Sunday. If you're browsing through the new Annual Catalog, what will you be ordering first? Thanks for stopping by today, until next time! New Annual 2013-2014 Stampin' Up! Catalog is here! Happy Saturday Stampers! Today is the second day of the new Annual 2013-2014 Stampin' Up! Catalog. Yay! So many wonderful new things! I'm offering a Mystery Hostess Online Workshop! No need to worry about inviting others to your workshop, just sit back and relax. We can now "pool" online Stampin' Up! orders into one big order. (Orders placed individually through my online store but shipped separately-directly to you). So how does it all work? Simply use the Hostess Code below and place a minimum order of $50 (before tax and shipping) on my online store by 10 pm on Tuesday, June 4. Once all orders are placed, I will draw ONE name to get the hostess benefits from the entire order! I will email/call you to get your choices! Please note this if for U.S. orders only. Once you add your first item to your shopping bag, the hostess code must be entered just below the Special Offers section and it should say Kathya Hidalgo as the hostess (which will later be changed). If you have any questions or need assistance setting up an online account in my online store, just let me know. Thanks for stopping by. Until next time.